Qraa Men D-Tan Scrub is the perfect solution for men who long for nourished, refreshing skin. This Ayurveda based formula is blended with 12 finest nutritive oils to help you smoothen your fine lines and illuminate your skin color. Do not let the fear of sun and its harmful UV rays of the Sun stop you from going out and enjoy your life. 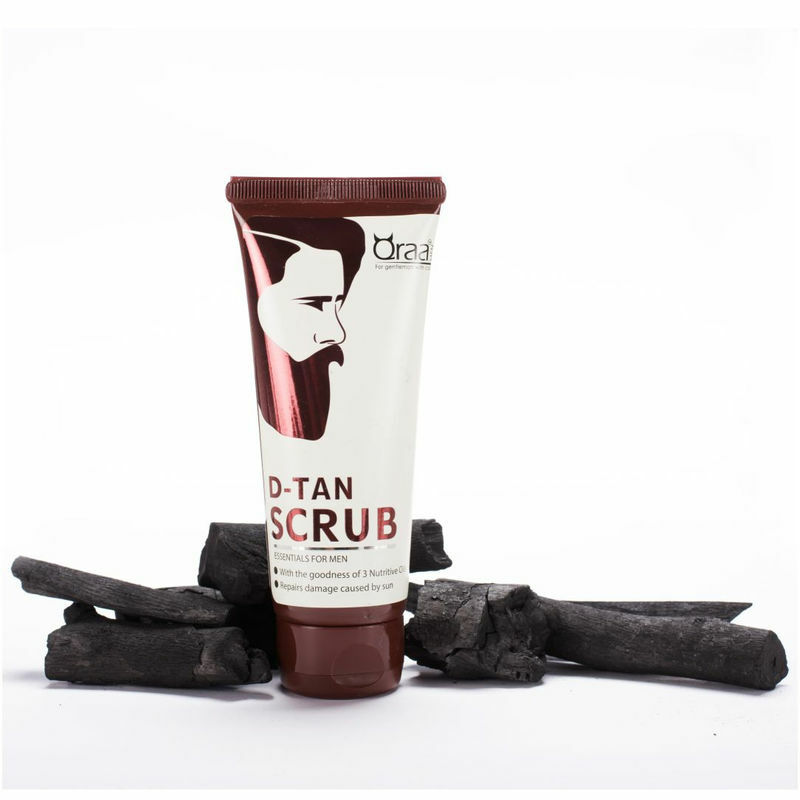 Let Qraa nourish your skin with ingredients like ground sweet almond rich in Vitamin E and D. D-Tan Scrub exfoliates all the impurities and sun tan from your skin giving a glowing complexion.